The transition of clean, straight lines to the rounded end of the Bonita Collection, creates stunning visual impact for your contemporary living room. 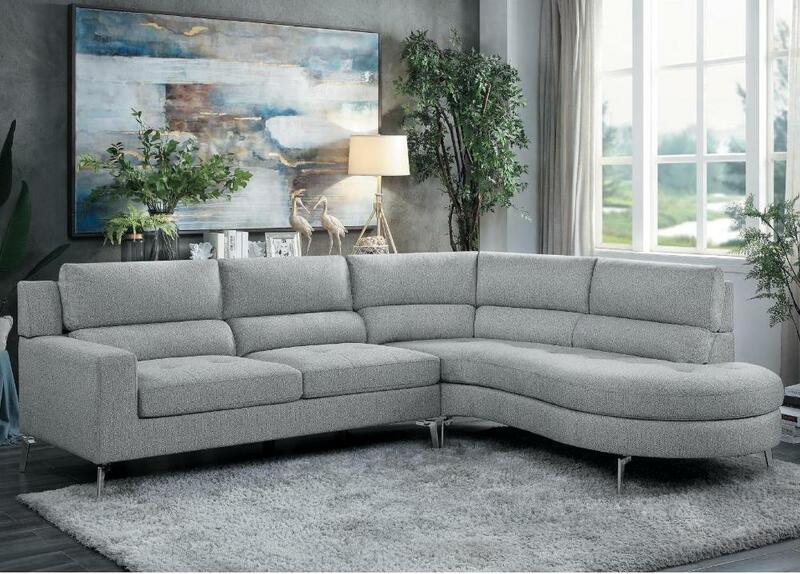 Gray fabric paired with chrome finished legs, lends decorative neutrality with a decisive modern profile. Plush rounded backs and stitch tufted seating, lend comfort to the seating of the collection. FEATURES: Gray Color ~ Contemporary Style ~ Clean Straight Lines / Rounded Ends / Stitch Tufting Accents ~ Plush Backs ~ 100% Polyester Fabric Cover ~ Chrome Legs.